Mathematical imagery is all the rage right now. I went to two parent meetings last week -- one meeting for my third grader and one meeting for my kindergartner. The teachers in both meetings were talking about developing number sense through imagery. They showed us five frames and ten frames and dot patterns. It was all really cool stuff. 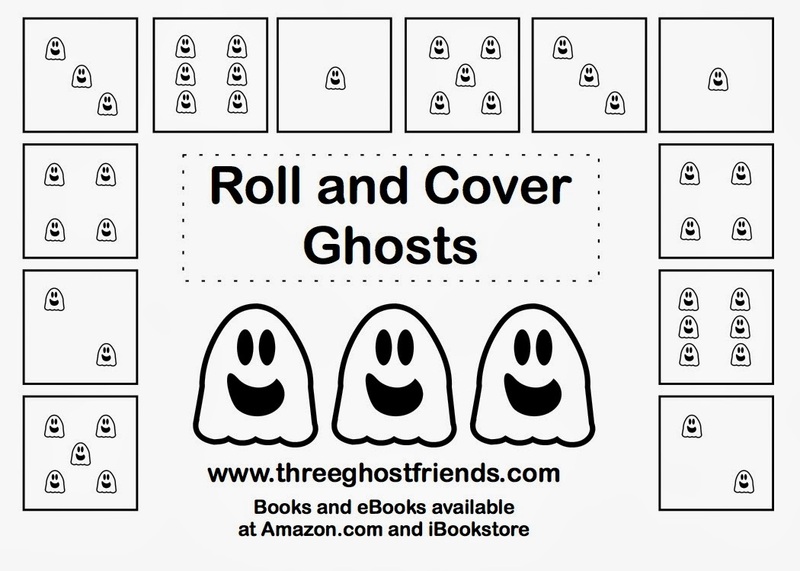 I talked with my wife, a trained elementary math teacher, and I asked her to help me create one of the math imagery games featuring the THREE GHOST FRIENDS. 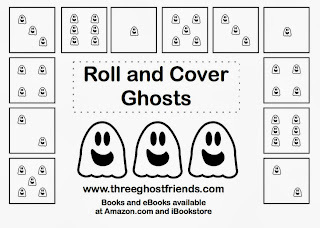 I thought it would be fun for students to play during the weeks leading up to Halloween. But, I never expected that my three-year-old son would enjoy the game too! 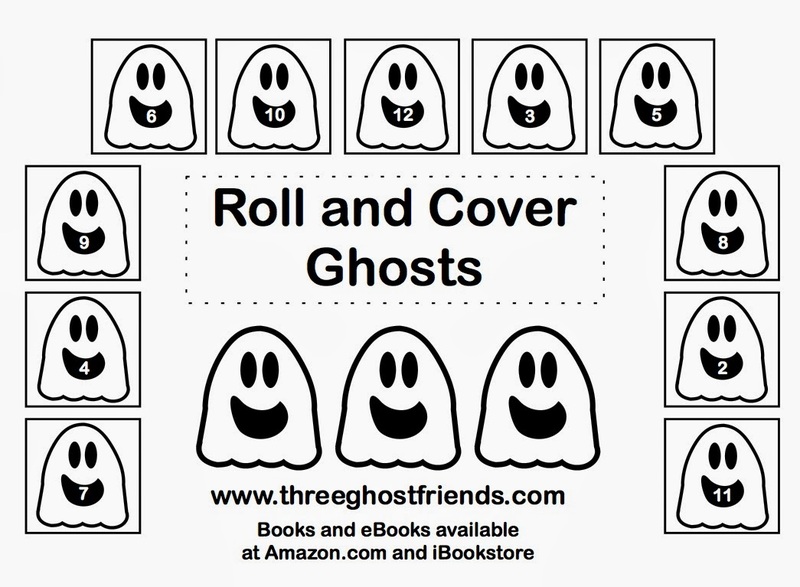 The game my wife suggested was Roll and Cover. The game is simple. Roll a die. Recognize the number of dots and cover the matching spot on the game board. The object of the game is to cover your whole game board. 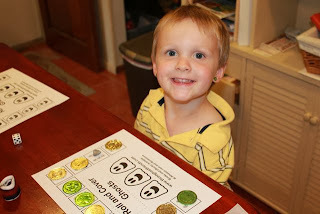 We made multiple FREE printable game boards. This game board has ghosts in the same dot patterns as a die. 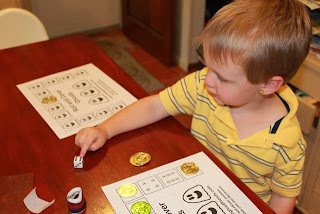 The child rolls a die and finds the matching dot pattern on the game board. Parents or teachers can ask the child at any point during the game, "How many do you see?" This will encourage recognition over counting. This game board has numbers in the ghosts' mouths. 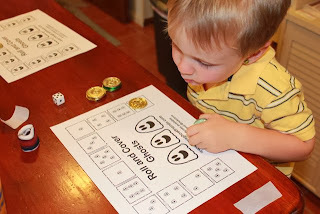 The child rolls a die and finds the corresponding number on the game board. This game board is a higher level then the game board above. If your child masters the game boards above, then trying rolling two dice. 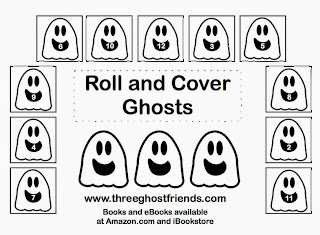 This game board has numbers 2-12 in the ghosts' mouths. 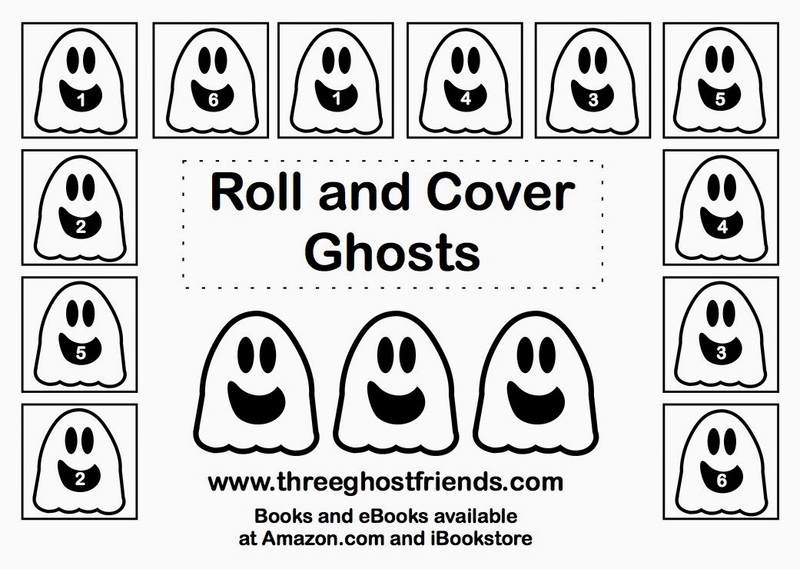 Click Here to Download the ROLL AND COVER packet that includes instructions. My three-year-old needed little instruction to understand this game. 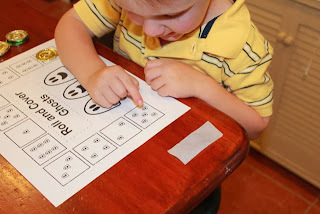 He is still developing his imagery of numbers 4-6. Here he is counting 5 on the game board. With multiple exposures and time he will develop the image of 6 and then be able to recognize and state the number without counting. 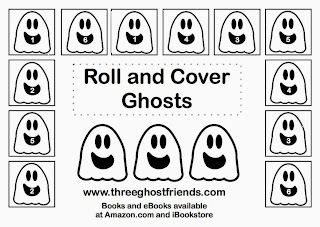 We love Roll and Cover games at our house. Thanks for sharing at After School! I love this thank you for sharing.